My Easter bonnet is ready. 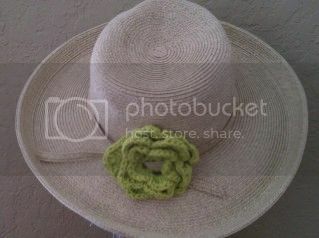 Who doesn't love one big green crochet flower! The ladies here at Bluebonnet Smile have been busy, busy, busy. We are working on new and wonderful things that we hope will catch your eye. Do you need somewhere cute to display your pictures that is easy to change daily if wanted? We may have just the thing for you! Check back early next week and you will see what we are talking about. Are you looking for something special, and think Bluebonnet Smile may be just the place to find it, but it is not here anywhere? Ask, if we have it, we will post it.